Alex Cross is back - and so is a raging and suicidal Gary Soneji. Out of prison and dying from the AIDS virus he contracted there, he will get revenge on Cross before he dies. In addition, we are introduced to a new pair of rivals whose paths cross that of Alex and Soneji. Thomas Augustine Pierce has been chasing his demon, Mr. Smith, since the savage murder of his fiancée. Mr. Smith is a unique monster, with actions toward his victims so insane - so unimaginable - that he is thought of as "not of the Earth". Pierce, known in the business as St. Augustine because of his track record for catching killers and his invaluable status to the FBI and Interpol, may even be better than Cross. When things heat up and Alex is in a near-death coma following an attack in his own home, Pierce goes to Washington to help with the investigation. But just as he begins to piece together the mystery of how Gary Soneji could have mortally wounded Cross after he was believed to be dead, he is summoned to Paris, with a postcard from Mr. Smith inviting him to a very special killing. The body count is high, the tension the highest, and the two killers on the loose are watching every move their pursuers make. Who is the cat, and who is the mouse? What and where is the final trap? And who survives? Oh My Goodness . I love this series, so I decided to listen to the books in order. Select few. Those unfamiliar with previous narrator. 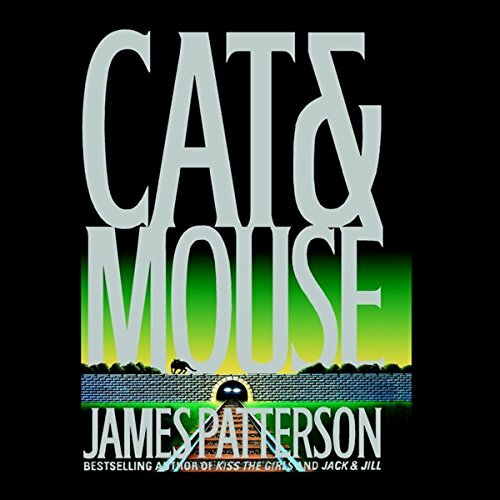 Would you be willing to try another book from James Patterson? Why or why not? Would you be willing to try another one of Jeff Harding and Raj Ghatak ’s performances? No. The lack of expression of a strong but compassionate character. For the character of Alex Cross the intonation is way off. Bring back Michael Boatman. The narrators of this production were terrible. Their pronunciation of certain words were as if english was not their first language. started pretty slow but once it got going it was much better. loved it! worth my time for sure! Got 5 minutes in before I realized I wasted my money. Keep forgetting to read the reviews before I click to purchase. Does the fact that the Villain’s name is being horribly mispronounced not get caught somewhere in the production process? Please try to return to the narrators that did Jack & Jill. Great story but drop the southern draw. Great story. The narration is ok but Cross wouldn’t sound like this. No southern accent. This is a wonderful book had to get another one because I couldn’t stand the narrators voices. I wish they would use the same ones. It is a great book. Narrating was poor (the reason I struggled to finish). Some names are not pronounced as they are in other books and the accents seemed overly done. I felt like the voices use were very stereotypical and not appropriate for the characters. I am striving to go through each Alex Cross book in order but this narrator gave him a southern droll that was so very inappropriate for a black man from Washington DC...I had to struggle to continue to listen. A poor narrator can really kill a good book. I recommend the book but strongly do NOT recommend this audible version.